Please join us in celebrating Scotland’s win over Sweden at the 2018 European Curling Championships! 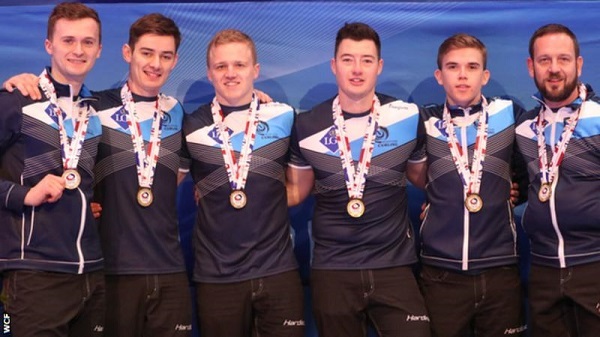 Edinburgh native Bruce Mouat skipped his team to victory over defending champs Sweden in an exciting match this weekend. He’s not getting a break though; he’s off to North America for back-to-back competitions. We will celebrate Bruce at the rink after the New Year when he’s back in the country. Good luck, Bruce! No Replies to "Edinburgh Curler Bruce Mouat Claims Gold at European Championships!"